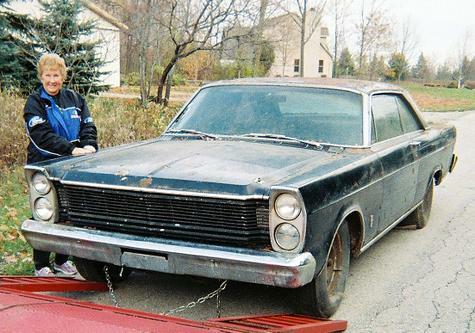 When I was 15 my dad special ordered this Galaxie with a 4-speed and the P-Code 390 Police Interceptor Engine (Solid Lifters 330hp), Tri-Power, Power Steering, Brakes and Windows, Reclining Passenger Bucket Seat. I took my drivers test in it and in 1968 he gave it to me. 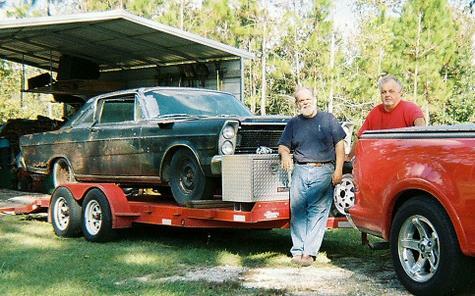 I kept it until 1984 when I sold it to a salvage yard in Ft. Lauderdale Fl. In 2005 I discovered it was in a warehouse in Wisconsin in almost the same shape as 1984. 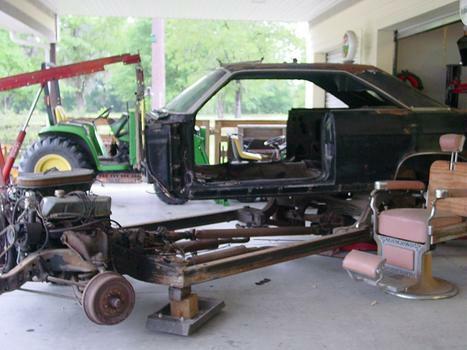 I repurchased the car and am in the process of a full frame off restoration. That is my Mom in the picture as we were loading it onto the trailer for the ride back home. Dad passed away in 1994, I wish he could have seen it and what we are doing to it. As you can see it's in pretty rough condition but it's 95% complete. That missing console top plate would be hard and expensive to locate since it not only accomodates the 4-speed but containes the Power Window Switches which were also missing. But I found one. 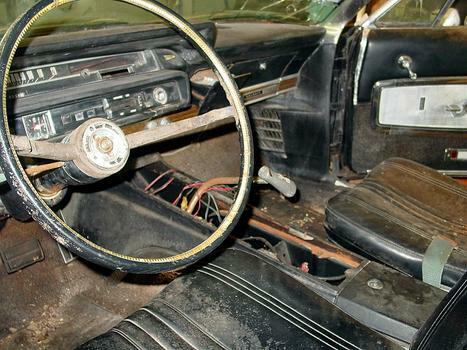 That reclining passenger bucket seat saw allot of action at the drive-in back in the 60's I'm here to tell ya. Discovering the car was still alive and it's location/owner was amazing. But what was more amazing is that it was still in tact and restorable. Here we are back in Florida with my childhood friend Dale. Most of the heavy work will be done at his fantastic home shop. If it were not for him and his facilities I could not do this restoration and there is no way I could afford to have it done. 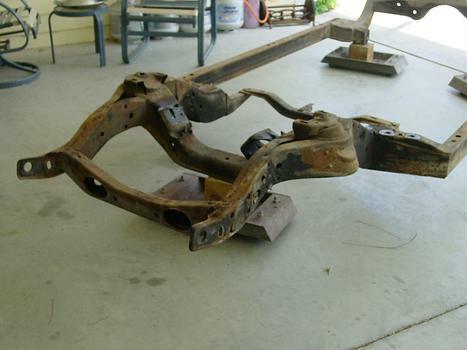 Here is the bare frame ready for sand blasting. All sand blased and ready for the powder coater. 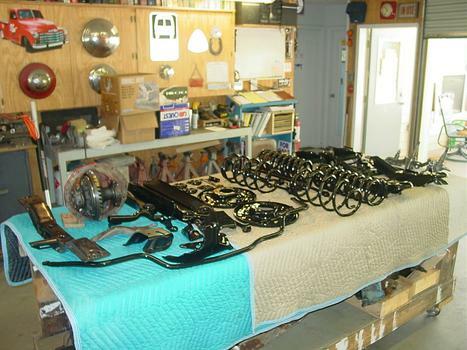 Here are all of the chassis components, they also have been sand blasted and powder coated. The 9" rear has been rebuilt including a new Alburn Limited Slip Dif. 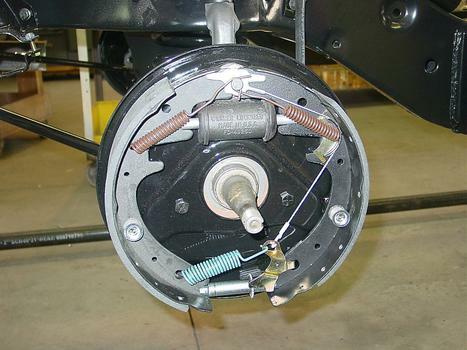 Here is the Police Interceptors Heavy Duty front suspension and 3" brakes all back together. It will get NOS Drums. Of course the rear's are getting the same treatment. 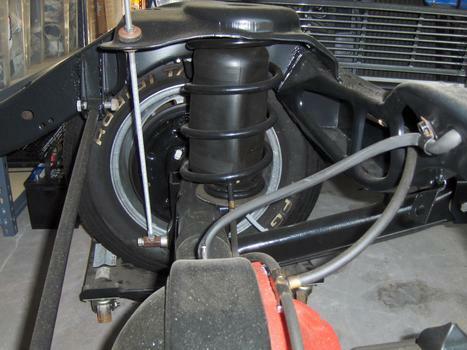 I was lucky to find a NOS Ford Rear Spring Auxillary Air Bag Kit that greatly improves the rear suspension. 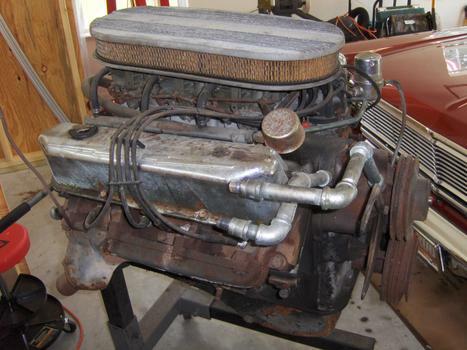 Here is the 390 Interceptor engine back at my place for disassembly. Notice the chrome pipes for the heater? My dad made those and it was these pipes that during a conversation with the owner during the 2005 Turkey Rod Run that I discovered he owned my Dads car. 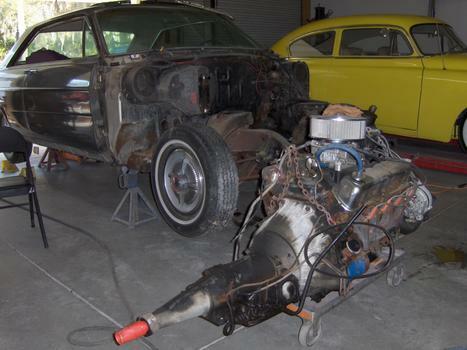 This Tri-Power System goes for about a $1k in this condition. I can't believe they were still there 21 years later. 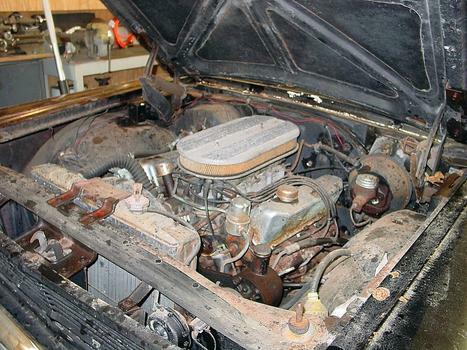 My Dad & I changed the oil & filter every 3k miles and we rebuilt it in 1970 after about 110k miles. The rebuild only had about 10k miles on it when it was parked, a victim of the 70's Oil Embargos, lower octane fuels and the need for a more fuel efficent car for my new young family. 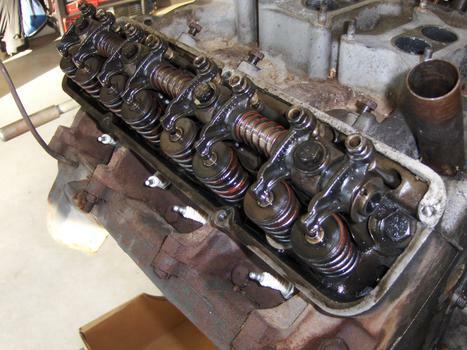 Few people have torn down an engine from a 45 year old car that had not run for 21 years and see it this clean inside. 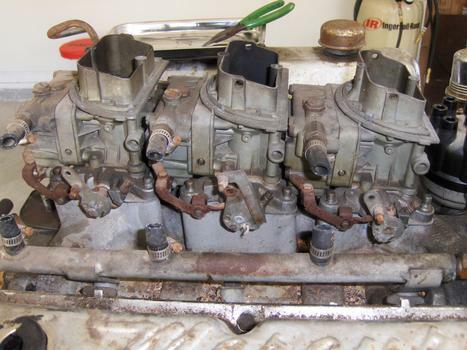 I still plan to totally rebuilt it with new rods, forged pistons and a completly new valve train. 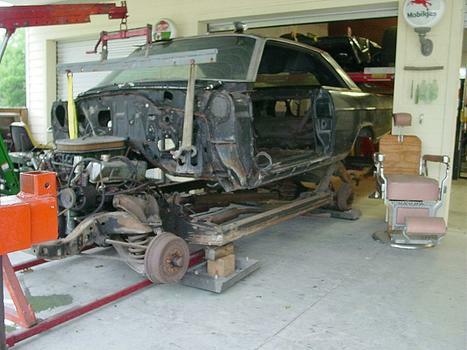 The engine and transmission restoration is on hold now while we focus on the bodywork and interior restoration. With the shape my Dad's car was in I needed allot of good sheetmetal and glass. This XL was from the desert with only 64k miles on it. It is 100% rust free and straight with excellent glass & trim. It would have been a minimal restoration to make this a great car on it's own but it is a small block car and not very desireable (lucky for me). I got it for $4k. Well the front cap is off and the engine/tran removed. I gave the engine and trans to Dale for his help on the project. It will find it's way into one of Dales future projects. I took the car to a glass shop to have the front and rear glass removed & stored. Now the real fun begins BODYWORK. I will post more as the project progresses. I had one of these only down sized; 390 PI/solids, 4 BBL, factor 4 speed, 411 rear gears - family came along and needed a bigger "family" car too. 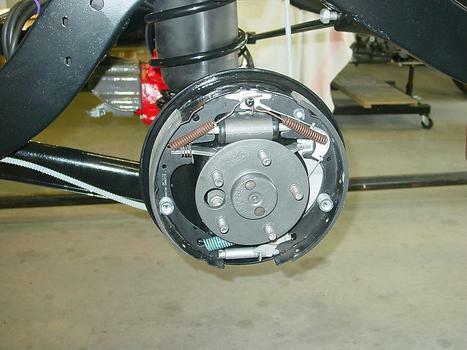 I had H70's with spring spacers in the rear (firmed it up some) it would handle very nicely. I am sure your father is smiling on you and your pride! I would love to see the original window sticker too. 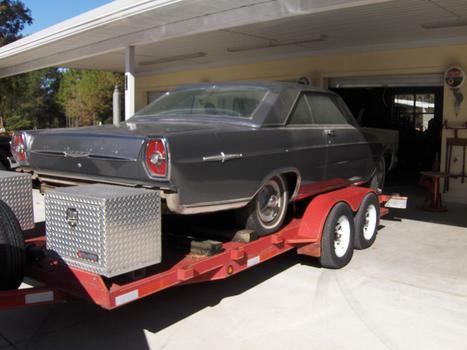 Hello wow a great story, I am restoring a 1965 Galaxie 500 Conv. 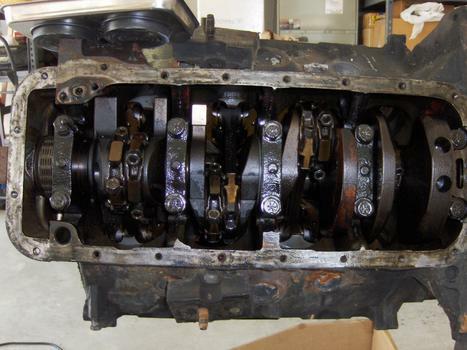 4-speed P code 390 330HP, talked to some expert ford guys and told them I only found 3 like it? May be more. This one sat for 28 years and has around 60K. Frame is good and body is rough Motor runs good, drives and shifts good. 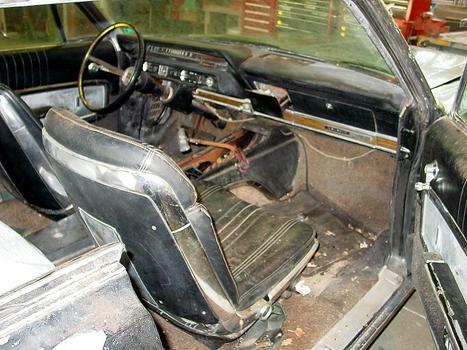 It Dark Ive green with tan interior bench seat. My e mail is twolanecountry@gmail.com I live in Vernon CT Thanks and good luck John. Where are the pictures of the finished car ? Great story ,great car. +Would love a follow up!!! !